Getting to the Alps couldn’t be easier. You can fly, drive, or take the train. There is a huge choice of airlines, including low budget and competitive car hire is available from your chosen airport. We can organise airport transfers. Our changeover day is Saturday. Travel to and from the resort is not included in our prices allowing you total flexibility with your budget and travel plans. For booking flights to Chambery try low cost specialists Jet2. If you’d like to view the best train journey schedules from the UK to Meribel, check out Snowcarbon’s Meribel Journey Planner". It is an extremely helpful site and gives some great advice on train travel. Self driving couldn’t be easier and can be taken at your own pace. Méribel is just under 600 miles from the channel ports. The journey is served by good motorways to within 12 miles of the resort. Tolls are about 80€ each way. 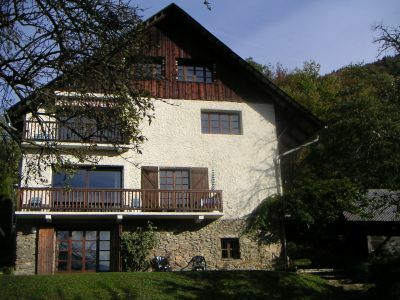 If you are looking for an extra night en route visit www.chaletverger.com A stunning house run by a British couple. Great rates, book early for their popular Friday night. To get the best possible price for your channel crossing, try price comparison site: A Ferry, which will give you access to all Ferry crossings to Europe. Hiring a car is a very cost effective way of getting from the airport to resort. The following can give you an immediate online quote.